Corolla pink; sepals red-brown, buds dark and flowers clear pink; XI-V; foliage dark green; habit loose, upright. Selected seedling from the deliberate crossing in 1999 of Erica carnea 'Treasure Trove' x Erica erigena 'Irish Dusk'; made, selected and named by David Wilson. ® E.2008:09 registered on 29 November 2008 by Wilson's Nursery Ltd, Chilliwack, British Columbia, Canada. 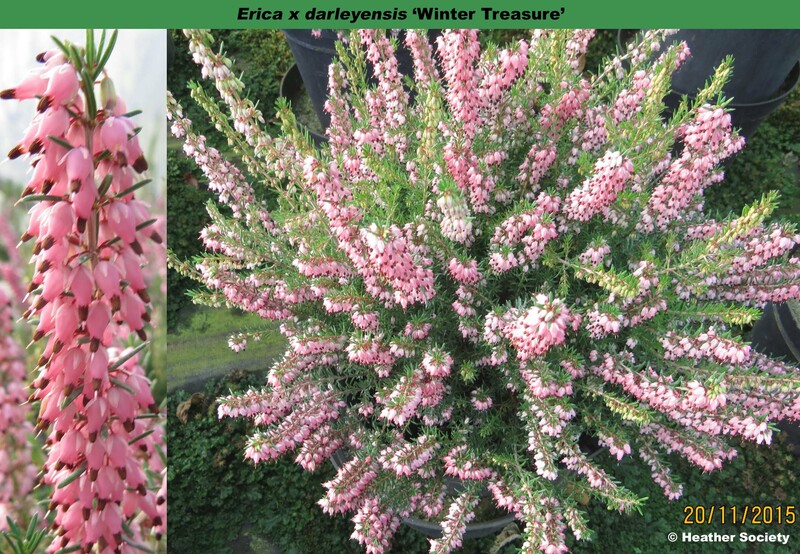 Named from flowering time; one of the parents was Erica carnea 'Treasure Trove'.